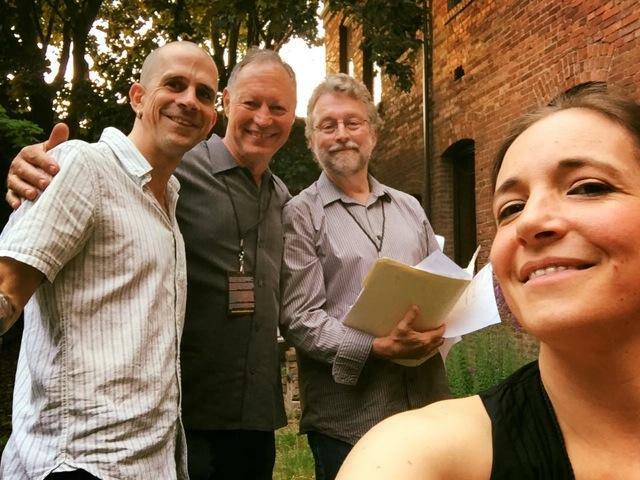 The Quartet before the concert... Ben Thomas, Mark Ivester, Chuck Deardorf and Marina Albero. 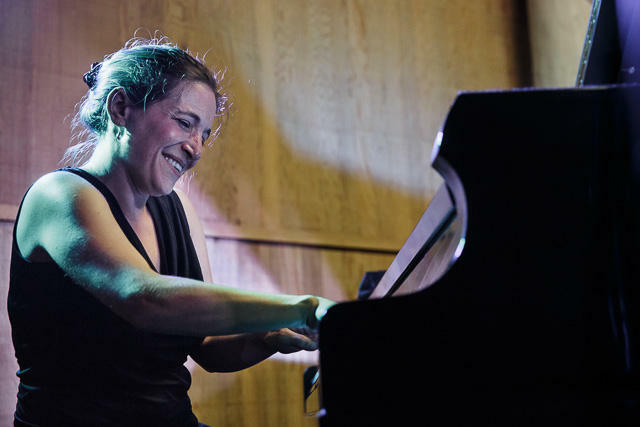 Spanish pianist Marina Albero brought a new quartet and two sets of new music to the Ballard Jazz Walk in May as part of the 14th annual Ballard Jazz Festival. The SRO performance was recorded for broadcast and will air on Jazz Northwest on Sunday, June 5 at 2 p.m. Pacific on 88.5 KPLU, and streaming at kplu.org. Joining Marina Albero at the piano are Ben Thomas, vibes, Chuck Deardorf, bass and Mark Ivester at the drums. Marina Albero also plays hammered dulcimer on one selection. 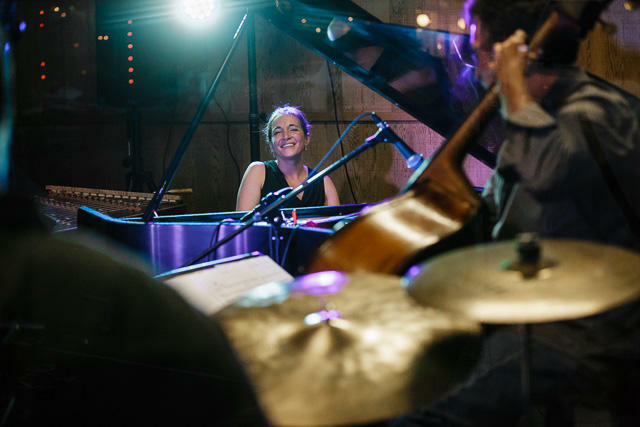 Born in Barcelona, Marina Albero's early musical experience including playing traditional music in her family's band and formal music studies at musical conservatories in Spain and later in Cuba. She moves easily between Spanish, Cuban and jazz styles, improvising with classical technique. She first appeared in Seattle playing vibes in a duo with pianist Chano Domínguez at the Ballard Jazz Festival in 2014. Music in this concert includes an opening song by her father Mariano Albero and original music by Marina and Ben Thomas. May be hard to believe, but there are three jazz festivals in the Seattle/Bellevue area this week and next. This weekend, the Couth Buzzard Jazz Festival on Greenwood is a mini survey of the history of jazz with a feature on Charles Mingus' music Sunday night. 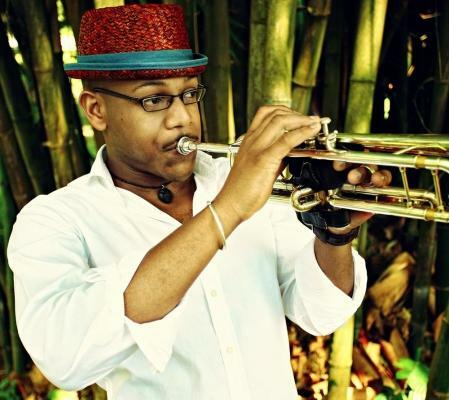 Etienne Charles and Shemekia Copland headline the Bellevue Jazz and Blues Festival next week, and the IMP fest at the UW features Bill Frisell, Reid Anderson, Bill McHenry and Cuong Vu next week. 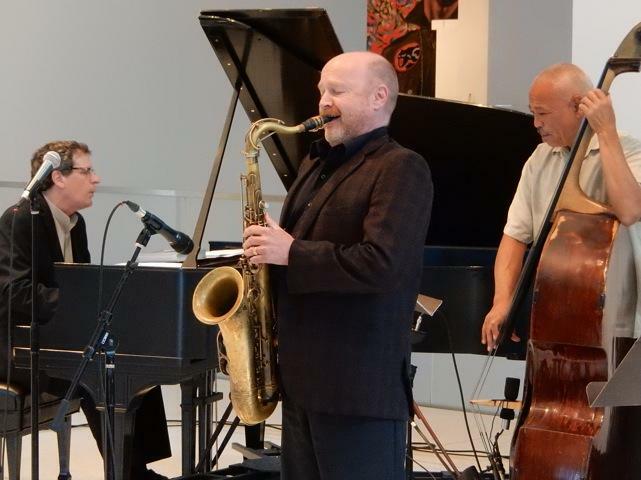 The Michael Brockman Quartet played the May concert in the Art of Jazz series at The Seattle Art Museum. With Michael on tenor sax, Randy Halberstadt at the piano, Phil Sparks, bass and D'vonne Lewis at the drums, the quartet played two sets featuring music by Billy Strayhorn and others with originals by Michael Brockman. 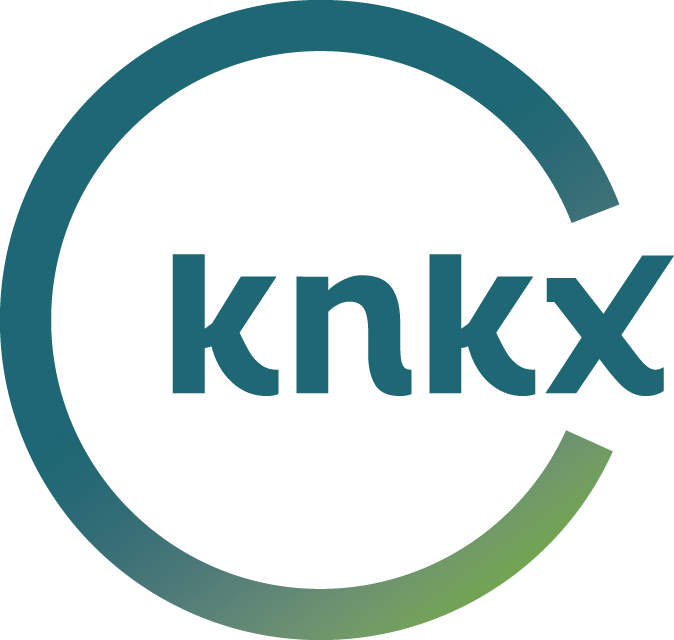 The concert was recorded for broadcast and will air on Jazz Northwest on Sunday, May 22 at 2 p.m. Pacific on 88.5 KPLU and streaming at KPLU. 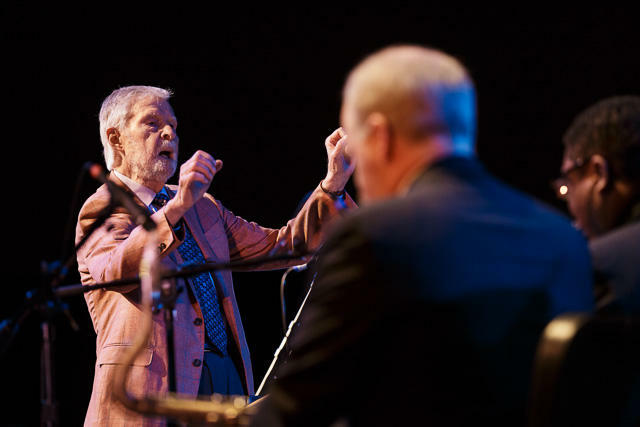 One of the world's most widely-known and respected jazz arrangers, Bill Holman conducted the Seattle Repertory Jazz Orchestra in three concerts of his music in Edmonds, Seattle and Kirkland last month. The final concert was recorded for broadcast and highlights will air on Jazz Northwest on Sunday, May 8 at 2 p.m. Pacific on 88.5 KPLU and streaming at kplu.org. Jazz Northwest celebrates May Day with a bouquet of Northwest favorites old and new. 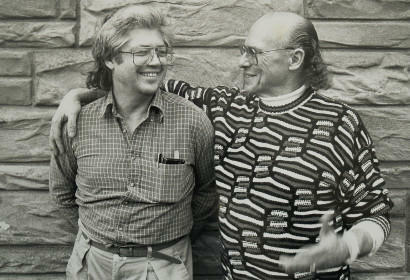 This week's show includes a 1990 duet by Larry Coryell and Marc Seales playing "Spring Can Really Hang You Up The Most" as well as new releases by trumpet players Ray Vega and Thomas Marriott, and Jazz Port Townsend favorite Matt Wilson's "Big Happy Family."